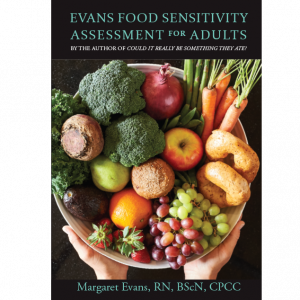 The Evans Food Sensitivity Assessment for Adults is now available for purchase! 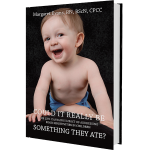 Using this assessment you will determine if you have a food sensitivity and which food it may be, along with practical advice on how to implement changes to your diet. This Assessment follows a simple format to help you to assess your food sensitivities. 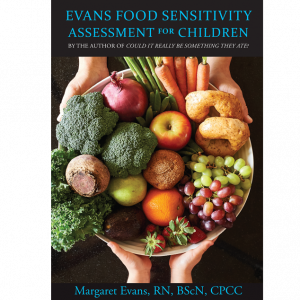 Also available now, the Evans Food Sensitivity Assessment for Children is also available for purchase!